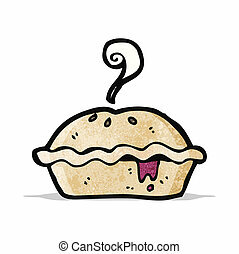 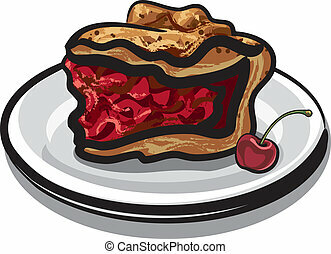 An illustration of a delicious freshly baked cherry pie topped with pastry strips on a blue checked tablecloth. 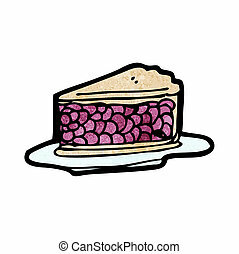 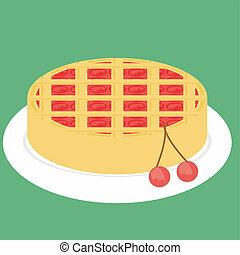 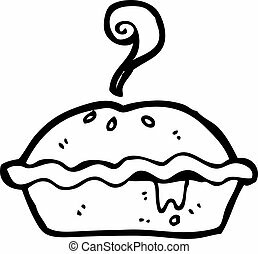 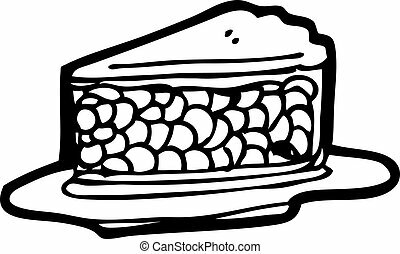 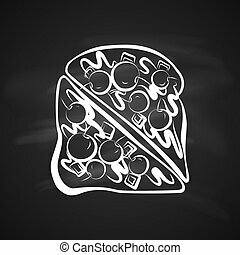 A cartoon cherry pie and a slice on a plate. 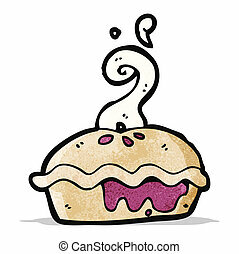 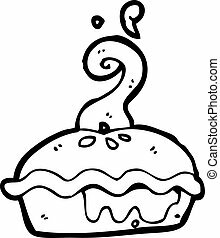 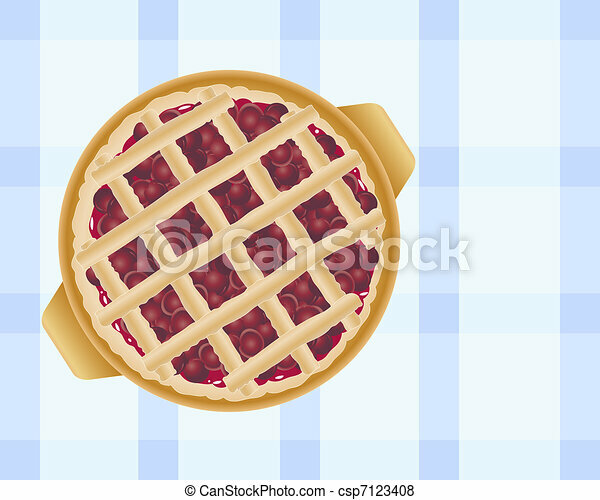 Traditional fresh baked steaming Cherry Pie, ripe fruit, isolated on white background. 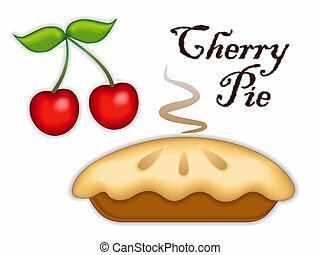 Tasty sweet dessert. 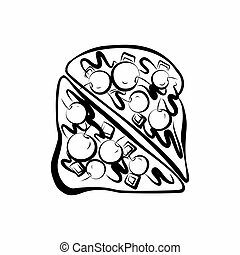 See other fruits in this series. EPS8 includes gradient mesh.